While thinking about beautiful hair, surely, wonderfully shiny, long, healthy and simply spectacular hair of women from India come to your mind. How is it possible that they have such fantastic hair? Is it because of their genes? But all kinds of hair get weaker, become flat and dull, especially because of experienced illnesses, burning sun, salty water, rooms with air-conditioning, giving birth... the list is really long. While we fight with thin, flat, unruly, difficult to style hair, Indian women still delight us with rich colours of their beautiful, nourished and healthy hair. How is it possible? We reveal one of the Indian's beauty mystery. Of course the source of everything is nature. 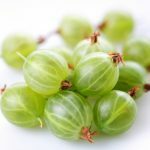 The history of beauty has its beginning in Asia where amazing ten-metre-long Phyllanthus emblica trees grow, known as amla trees. This tree bears green and yellow fruit which resemble gooseberry a bit. Inside the fruit, according to Indian philospohy and medicine - lies the secret of beauty and longevity. The extract from the fruit is very popular in cookery and cosmetology but it is best know as an ingredient of hair oils. Now Amla Oil is available at drug stores and online shops all over the world. You apply it to wet scalp by rubbing gently and spreading it throughout across your hair - it is best to simply brush out your hair and in this way the oil will be spread out evenly. It would be ideal if you could leave it overnight but two hours are definitely enough to make the oil work miracles for your hair and head skin. The most endearing about this oil is that all these things happen all at once. 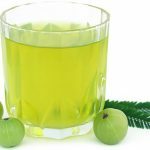 Amla gives complex treatment both for hair and head skin, and provides our hair with total revolution. If you haven't decided to try this Indian oil yet, think about beautiful hair of Indian women from famous Bollywood movies and don't hesitate any longer.